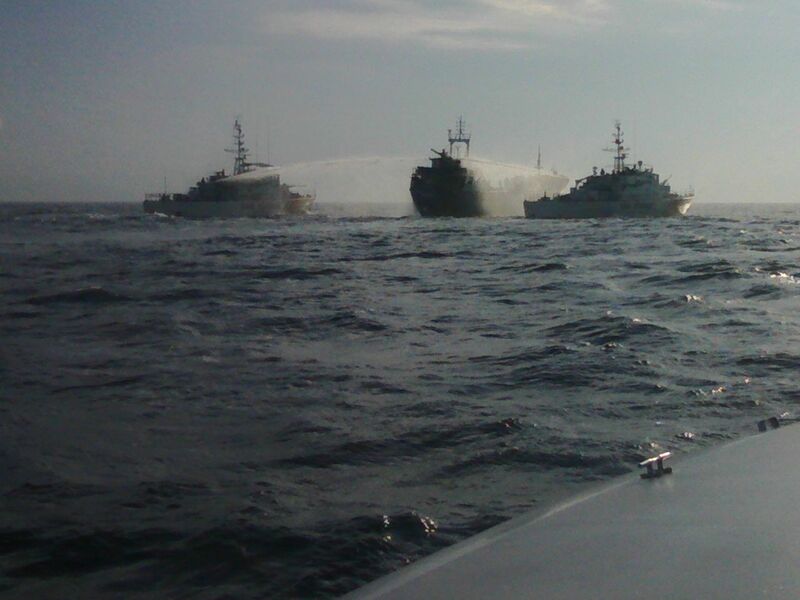 Two Type 80 class Coast Guard vessels use their water canons to stop the vessel. Photo: Official Turkish Coast Guard photo. 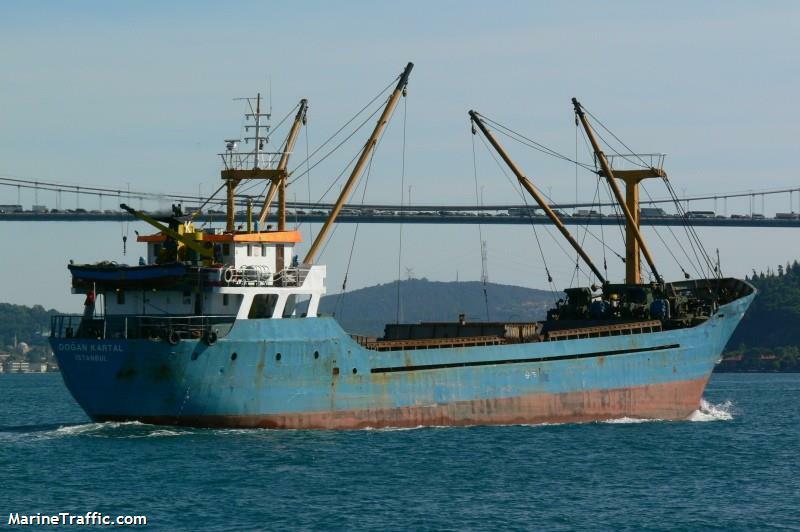 Detailed information has been published by Turkish Coast Guard on their intervention on the freighter M/V Doğan Kartal on 12 March 2015. The Coast Guard was informed that this ship loaded with refugees was sailing on Marmara Sea heading to the Çanakkale Strait. 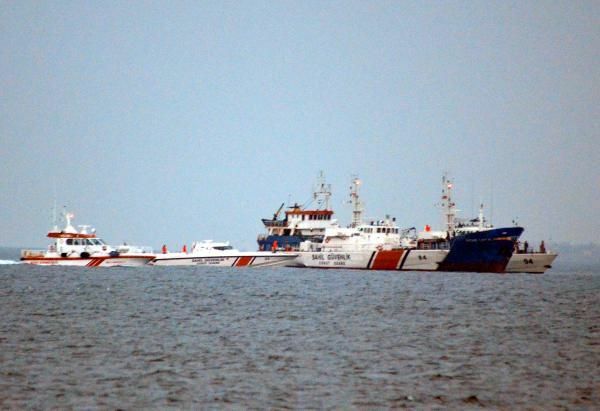 Coast Guard vessels reached the vessel near Şarköy but the ship refused to stop and tried to get away. It was only close to Gelibolu about 22 nautical miles south-west when M/V Doğan Kartal was stopped by firing upon it. The released videos and photos show that it was a very dangerous operation. Various tactics including hosing pressured water into the bridge of M/V Doğan Kartal was tried before using the machine guns. The Type 80 class boats of Turkish Navy have one water cannon. The videos and the photos show that every aspect of the operation was recorded by each boat. This is the video posted on the Turkish Coast Guard website. This is another video from the operation. This show the firing upon the ship. The videos show that the passengers(!) of M/V Doğan Kartal were hostile to the Coast Guard crews. It is a very delicate act of force to stop a ship fully loaded with unfriendly people without hurting them at all. I think in the end it was a job well done by our coast guard.